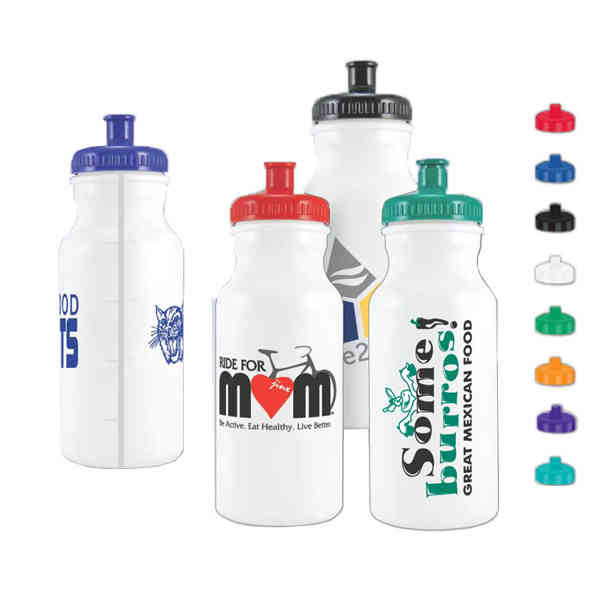 20 oz USA Made Bike Bottle with View Stripes & Ounce Markings. BPA free. Top rack dishwasher safe. Product Size: 7.75" H x 2.86" Diameter. Ship Weight:7 lbs, A shipping and handling charge will be added to all freight charges. Production orders cannot be shipped third party.